Didi Gregorius can only rehab, sit, watch, and wait as he recovers from offseason Tommy John Surgery. 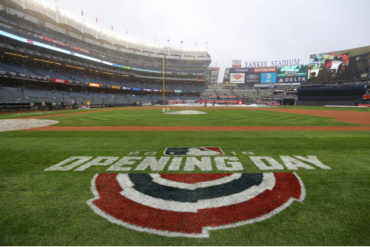 He watched as the New York Yankees stumbled out of the gate to start the season. And, he watched as his teammates physically stumbled their way on to the Injured List. 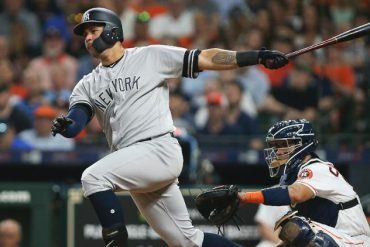 The injuries included a possible devastating shoulder tear to third baseman Miguel Andujar and a strained calf befell Gregorius’ fill-in at shortstop, Troy Tulowitzki. The Yankees need Sir Didi now more than ever, and in the future, too. The gregarious Gregorius deserves a contract extension similar to those that his fellow shortstops recently received (Xander Bogaerts) or will receive/earn soon through free agency (Francisco Lindor, Carlos Correa). 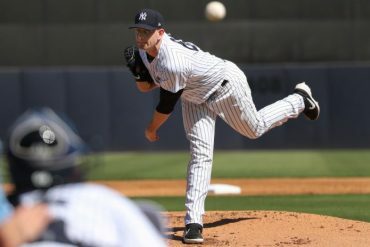 Gregorius became a Yankee in a December 2014 trade that sent pitcher Shane Greene from New York to Detroit as part of a three-team deal with Arizona. You would have been hard-pressed to find anyone happy with the deal. Greene had shown potential as both a starter and reliever. Meanwhile, Gregorius was all glove and no bat for the Diamondbacks. This was to be the replacement for the retired Derek Jeter? The shortstop got off to a miserable start in NYC, both with the bat, and surprisingly, with his defensive play. But, something clicked in the second half of the 2015 season and Sir Didi has been playing All-Star caliber baseball ever since. He successfully replaced Jeter in the Yankees lineup and now it’s time for him to succeed Jeter as team captain. 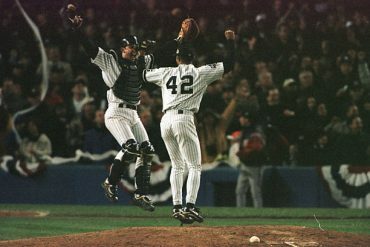 Being captain of the New York Yankees is one of the most iconic leadership roles in all of sports. 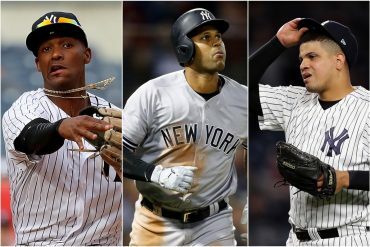 Among those who have held the title are current (Babe Ruth and Lou Gehrig) and future (Derek Jeter) Hall of Fame members, as well as Yankee greats Thurman Munson, Don Mattingly, Ron Guidry, Graig Nettles, and Willie Randolph. Didi fits the bill. Many in the Yankees fanbase anticipate that star right fielder Aaron Judge will be the franchise’s 16th captain. And, while that may eventually happen, Judge has only a little over 2-1/2 years of Major League experience under his belt and is still adjusting to life in the big leagues. While Judge comports himself well with the media and has some of the Jeter-esque aura about him, placing a more experienced player in the captain’s chair makes sense. Didi is extremely popular with his teammates, who love his postgame social media recaps (teammates represented by emojis) after each Yankees win. 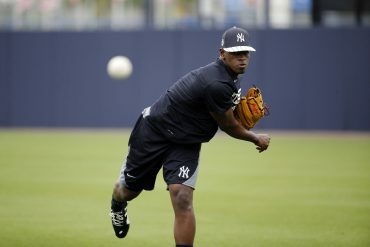 He has acted as a mentor to youngsters like Andujar and Gleyber Torres and is a great influence on the club’s Latin and Central American ballplayers. Gregorius is also a fantastic ambassador for the game itself. Didi Gregorius’ tweet after ALDS Game 2. Tanaka = clock. Sanchez = squid. Judge = man and scales of justice. McCutchen = man in a steam room. Chapman = Cuban flag. And, while he always has a smile on his face, don’t ever think that Gregorius isn’t highly competitive and tough. It appeared his 2018 season was over when he tore cartilage in his wrist in late September. But, he returned before the regular season ended and was out there at shortstop during the postseason. 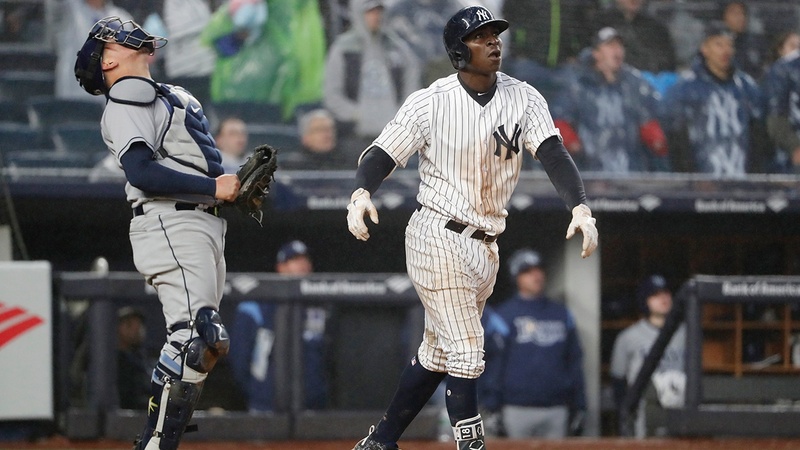 Gregorius’ hustle was in full view in Game 2 of the Division Series with Boston. In the 6th inning, J.D. Martinez ripped a baseball off the section of wall in left field that juts out. Even though the ball shot across the outfield (instead of going into the left field corner as it would in most ballparks), Gregorius chased the ball down to hold Martinez to a single. Didi is also a renaissance man off the field. His personal pursuits include painting, photography, fashion, and charitable endeavors. Extending a young player’s contract became a trend in baseball this past offseason and early into the 2019 season. Owners can tie up a player for longer and at a lower annual average value (AAV) and players are more willing to sign extensions after seeing how long it took top free agents to sign during the Hot Stove period, not to mention how many free agents are still unsigned. Lindor, arguably the best all-around shortstop in the game today, reportedly turned down an extension nearly two years ago that would have “approached $100M”. No length of the proposed extension was disclosed. Lindor remains without an extension today, but the Indians have control of him through 2021. The Indians are currently doling out over $10M to Lindor, who is arbitration-eligible next year. Boston’s Bogaerts received a six-year, $120M extension last week. The new deal runs from 2020-2025 (Bogaerts receives $12M this season). The contract also contains a vesting option for 2026 based on Bogaerts attaining 535 plate appearances in 2025 and finishing the year healthy (based on someone’s definition). Lindor deserves to top Bogaerts’ $20M average salary, so if the Indians aren’t willing to agree to such a deal, Lindor will most likely walk after the 2021 season. One of the players for whom it could be argued is on a par with or is better than Lindor is Correa, the Astros’ 23-year old shortstop. Though injuries helped to curtail his 2018 season, Correa receives $5M this season after topping Houston in an arbitration case. It was the Puerto Rican native’s first year of arbitration eligibility, with free agency coming after the 2021 season. He too should earn more than Bogaerts over the long run but, like Lindor, it remains to be seen who will be signing his checks. Andrelton Simmons is regarded by many as the top defensive shortstop in the Major Leagues. He earns $13M this season and a bump to $15M next year. So where does Gregorius ($11.75M salary for ’19) fit into the picture? For the purpose of this discussion, the following comparison will be from 2016 – 2018, or the last three seasons prior to this one. It’s during that time that Gregorius really came into his own. Not surprisingly, Lindor tops the field with a 15.5 accumulated offensive WAR for the past three seasons. Gregorius is next at 10.1 and Bogaerts is slightly behind at 9.8. The next three stats (via FanGraphs) show an interesting dichotomy between the shortstops. While Bogaerts and Correa have a significantly higher batting average on balls in play (baBIP), both also have a significantly higher strikeout percentage. While Didi may have the lowest baBIP, he also puts more baseballs into play, giving himself a better chance to reach base safely. Finally, the weight runs created (wRC+) metric shows numbers that aren’t unexpected if you look at the quality of each of the teams’ offense over the past three seasons. Another factor is where each player has been slotted in the lineup. In Gregorius’ case, he hit mainly between the six and eight spots in 2016. He then moved up to between fourth and seventh a year later, and last season he was found batting between third and fifth in the order most of the time. FanGraphs rated Gregorius as the fourth-best shortstop in the American League (eighth overall) over the last three seasons. Simmons is number one in all of baseball, followed by Lindor. Bogaerts ranks fifth in the AL and 10th overall, while Correa ranked 10th and 16th, respectively. To put some perspective on Ultimate Zone Rating (UZR), one of the most popular defensive metrics, a player with a +15 UZR is considered Gold Glove-caliber. A player with a +10 rating is considered great and those that are +5 to +9 are above average glovemen. Some of the factors that go into a UZR rating include range, the likelihood of committing an error, and the ability to turn double plays. Despite the shaky tenure of the free agent market today, the Yankees should tie up Sir Didi before he hits the open market. He’s proven to be one of the better all-around shortstops in baseball and an even better person. Though the Yankees are not likely to give their 29-year old shortstop a contract as long as Bogaerts, they should certainly match or top the yearly average dollars Bogaerts is set to receive. And, when the Yankees announce the new contract, they should also announce that the Yankees’ latest captain is a knight.